GAS IT, pigtails, gi-fh-011 - GAS IT Leisure Gas Bottles, Gas Cylincers and Gas Tanks - Catering, Motorhome, Campervan, Caravan, Farrier and Road Repair Refillable Gas Solutions. This WILL NOT work as a pigtail between a Gas bottle / Gas tank outlet tap and a regulator or change over valve. 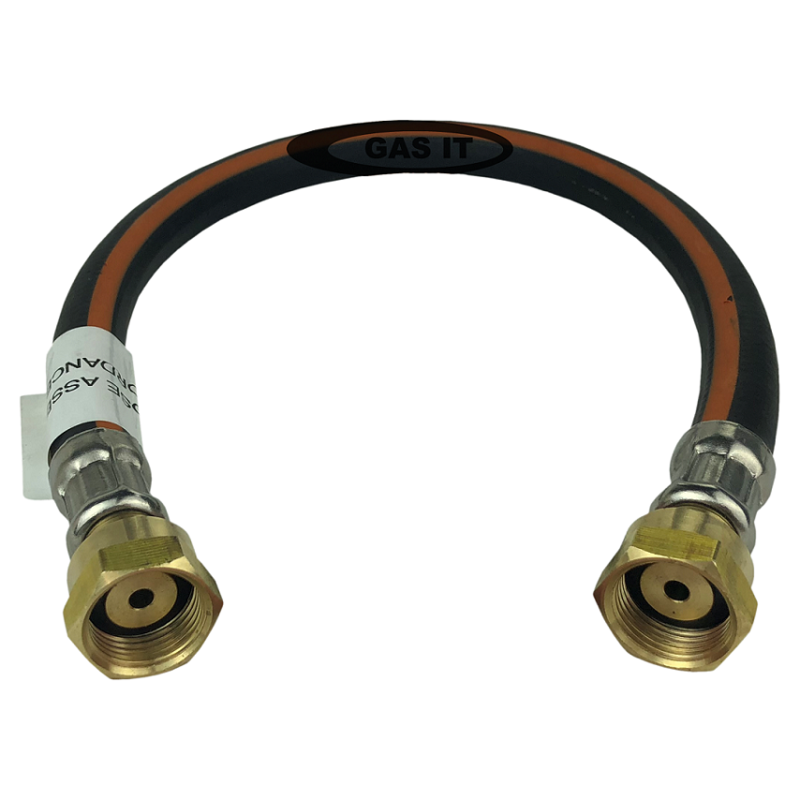 If you want a normal pigtail for use from the bottle outlet tap ( 21.8LH ) to the regulator/ change over valve ( W20 ), you need to buy W20 x 21.8 Lh pigtail listed elsewhere on the GAS IT webshop.